Quality assurance: 1. 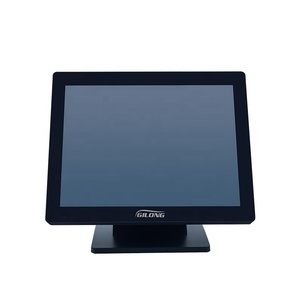 Our touch POS system series products are made of high quality and well-known brand materials. Our company has many years experience in R&D and can offer you full set complete POS solution. 10 Years Experience to be Professional Has many years of experience in research and development production POS field,can supply the perfect POS solutions. Dual screen 15. 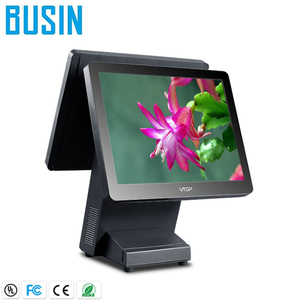 6" android pos with printer/pos terminal android/android pos device Features: 1. 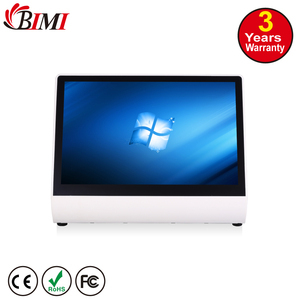 Size :15.6 inch panel 2.A83T mainboard with 2GHZ ARM 8 core 3. Japanese Misubishi/Sharp LED new Panel with high brightness. 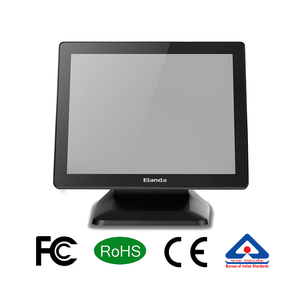 4. function: VFD display/MSR/RFID available 5.Touch: 5 wire resistive touch panel (capacitivetouch available) Parameter CPU A83T mainboard with 2GHZ ARM 8 core RAM 2G RAM(4GB Optional) Hard disc 8GB FLASH(16/32G option) Panel Size 15.6 inch TFT panel Second panel VFD display/11.6 inch/15.6 inch Resolution 1366*768 Interface USB*4 ports Com*2 ports VGA LAN audio / microphone Brightness 3 00cd/m2 Touch Type 5 wire resistive touch panel (capacitive touch available) View Angle Horizon: 160&deg; Vertical: 160&deg; Printer 58mm/80mm thermal printer built in Function VFD display/Dual panel/MSR/RFID available Operating System Android 4.4. 4/Android6.0 Power 12DC 5A Working Temperature Storage: -20~75&#8451; Operating: 0~60&#8451; BIOS AMI UEFI BIOS Warranty 12 Months Product Image For OS, Android 4.4 and Android 6.0 can be optional Android 4.4 optional: Android 6.0 optional: For second display, si ngle screen/2 lines VFD customer display/11.6 inch/15.6 inch can be optional 15.6 inch Single screen android pos system: 15.6 inch+2 lines VFD display android pos system: 15.6 inch+11.6 inch android pos system: 15.6 inch+15.6 inch android pos system: I/O ports: Related Product Barcode Reader with Stand with Pos System,printer,VFD display,Cash drawer etc Packaging & Shipping Anna Name Card Ms .
Touch Screen Restaurant Ordering Cashier Machine POS Device Model NO. Q3. How long is your Lead Time 9 A: we have stock in back for each style. Sample is 2 days Bulk production is 7-15 days according to quantity and color request. 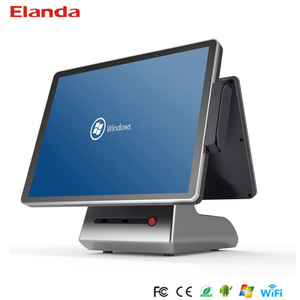 Alibaba.com offers 373 15 pos device products. About 79% of these are pos systems. 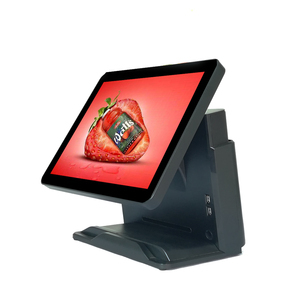 A wide variety of 15 pos device options are available to you, such as free samples, paid samples. 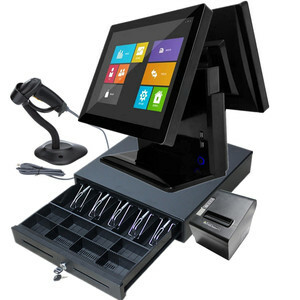 There are 373 15 pos device suppliers, mainly located in Asia. The top supplying countries are China (Mainland), Turkey, and Taiwan, which supply 98%, 1%, and 1% of 15 pos device respectively. 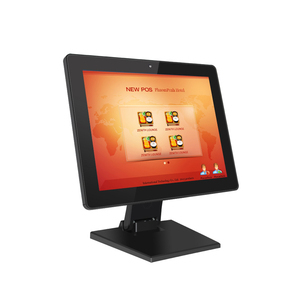 5 pos device products are most popular in Domestic Market, North America, and Western Europe. You can ensure product safety by selecting from certified suppliers, including 146 with ISO9001, 89 with Other, and 77 with ISO14001 certification.